WOW, can you believe that 4% of 2016 is gone already? Like everyone, I made New Year’s Resolutions, well no mine are goals. A few are writing related. Looking over my writing for the last year, I saw a few shocking items. I wrote 4 ebooks but they were all ghost written. My own lifestyle book only had one new chapter completed. Only a few articles that I wrote are with my byline. So in 2016, I will “hire” myself to write. I will add me into my work schedule. A couple are scuba diving related. One and many who know me will laugh, I will take a week long dive vacation. Yes I am often traveling and I dive when I do, but I want a full week of diving every day and no work. Second, I will “FINALLY” get my master diver rating. I been saying that for over a decade. The third is that I want between 150 and 200 dives this year and four new dive destinations. Too often, I had let other thing get in way of my diving. I am slightly behind already this year, but part of that was because of commitments I had made before the New Years. This first post of the New Year is also my first full post on the Aqwary Smart Console. 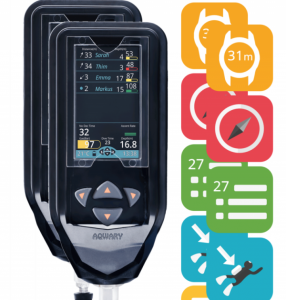 Last July, I posted about the Aqwary Ambassador program. I was one of ten that they accepted back in September, however, due to customs and other “official” red tape I did not get mine until just before Christmas. I did a couple of dives to get use to them and testing the different features. 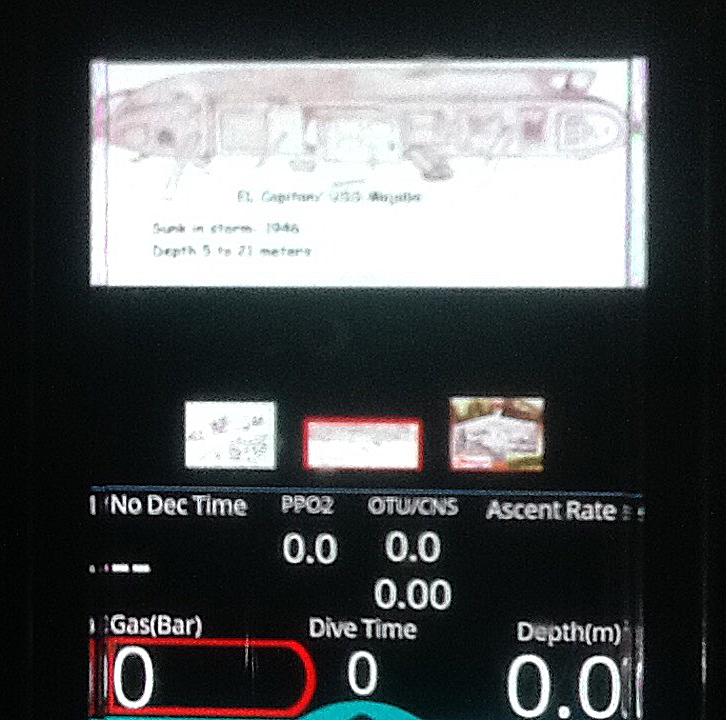 The first dive was interesting and the other divers were as amazed with the Aqwary smart consoles as I was. We dove on the Japanese Patrol Boat at Subic Bay on the first dive. The patrol boat is only about 35 meters long but the visibily was poor about 5 meters. The dive plan was for the dive leader to lead everyone around the boat once, then when back to the descent line each dive team would go off on their own. The dive leader was carrying my second counsel so I could test the buddy feature. Through out the dive I knew exactly where the dive leader was, it was great. Most of the other dive teams checked in at least once to see how the buddy finder worked around the wreck. The second dive was on a shallow dive site with better visibility. 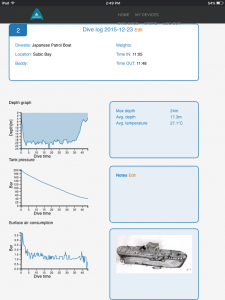 After the dives, I used the resorts WIFI to upload the dive logs. 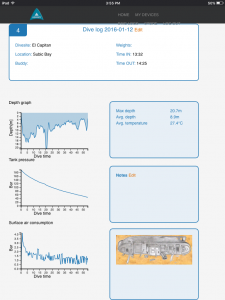 This was the first time I had used a dive computer that was air integrated, so it was interesting looking at my consumption rates. So much for the past and on to 2016. I hope my first dive of 2016 is not an indication of the rest of the year because I aborted it. My back-roll did not go right, not sure what happen but I felt like I did a bellyflop and got the wind knock out of me. After a few minutes, my breathing did not feel comfortable so I aborted the dive before descending. I had planned on the first dive to compare the smart consoles dive computer with my old Genesis Resource Nitrox and a new Suunto Zoop. The first planned site was deep so I had EAN-32 and had set the computers to that. I saw a blog post last year where someone asked about a Genesis Resource Nitrox and over a 100 poster told him the the resource was not Nitrox. Just so I do not get a hundred people telling me I am wrong, the Genesis Resource Nitrox is the forerunner of the Genesis React Pro, it is Nitrox and I been using it on Nitrox dives since 1999. it uses a Haldanean decompression algorithm which by today standards would be consider aggressive. 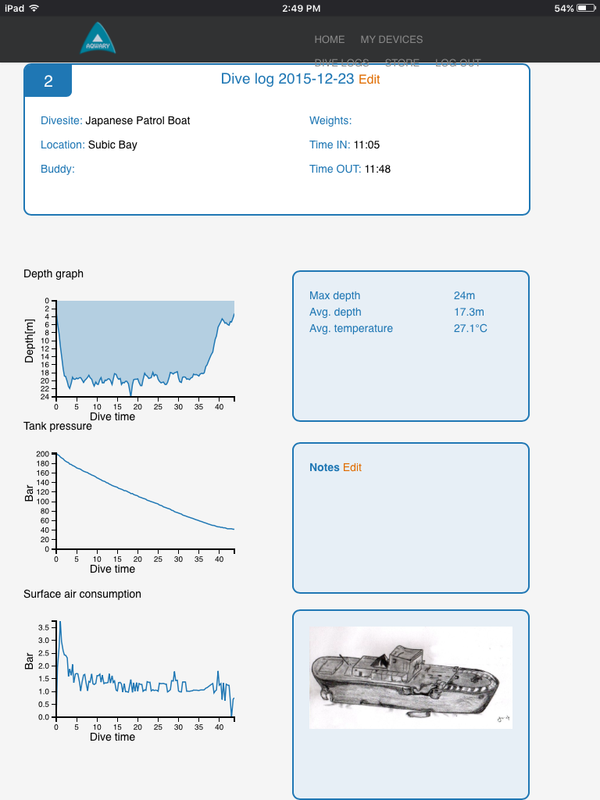 On my first dive with the console last December I saw that at 24 meters that my Genesis gave me ten minutes more NDL. The dive on the El Capitan was not so deep and the deep portions were gloomy so the test did not go as well as I would of liked, and the photos are too hard to read. The Suunto is seen as a conservative model that uses a modified Reduced gradient bubble model (RGBM). The smart console also uses a RGBM algorithm. During the dive, I compared the computers twice and found that the suunto was the most conservative of the three. About 20 minutes into the dive I dropped to 20 meters to see what the NDL time would be, the Suunto said 49 minutes, the Aqwary reported 53 and the Genesis reported 61. 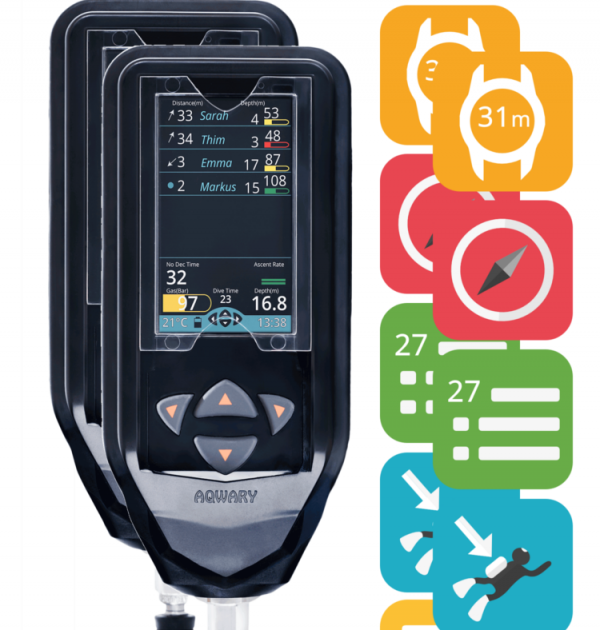 Both the Suunto and the Aqwary have the option to select different risk levels both were set to standard. While not a scientific and in-depth evaluation, I now do have a good overview of the settings. Two other points about the dive and the smart console. When I reached near 5 meters, the console showed me a countdown for a 3 minutes safety stop. That is a nice feature. The other thing that was nice and impressed many of the other divers, was I had uploaded to my cloud and then downloaded to the console a map of the dive site. 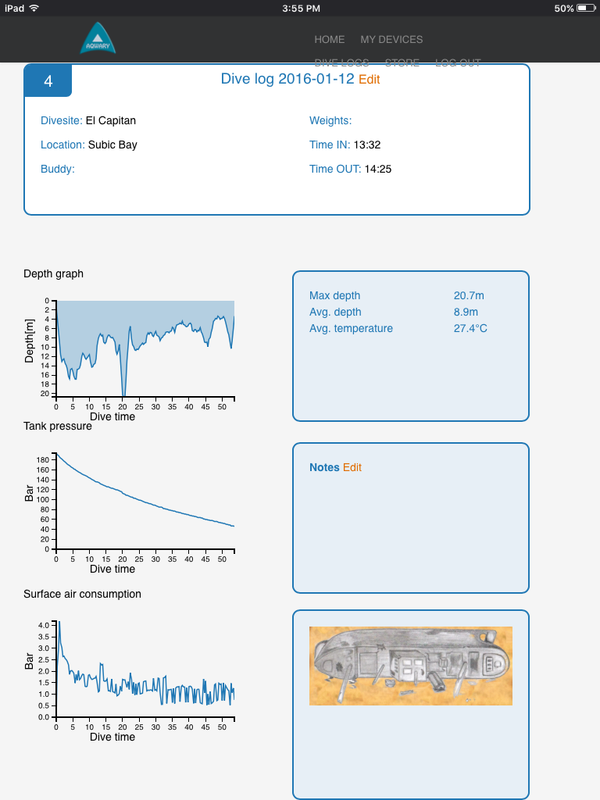 So as I was diving, I had a Map of the dive site and my computer readings at one glance. The next deep dive, I will use my Genesis as my control and set the console to very conservative. I will wait until the Aqwary goes past the NDL (but still within the NDL on the Genesis) and try a “deco” dive. review on their facebook page. 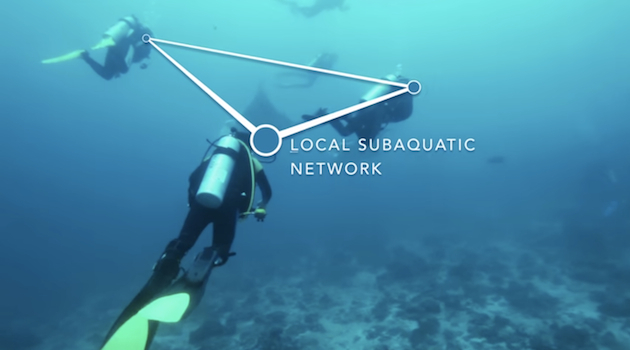 I would write about my dives not only on my facebook and pages but could also do so on the Subic Bay Dive Association web page and Johan Beach and Dive resorts. My post on Johan’s get between 350 to 1,400 impressions depending on the topic. On the Johan’s page I write about the diving and dive sites in my name. Johan wanted to add my reputation and following on his site. 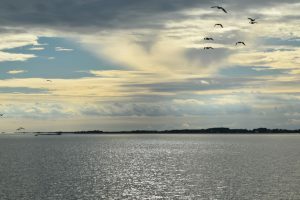 I have a good reputation as a diver and writer. Post about training, I also write about but it passes through Johan before being posted. Rooms, restaurant and catering articles are also written by me before being posted in Resort’s name. We are currently mapping a newly found aircraft. 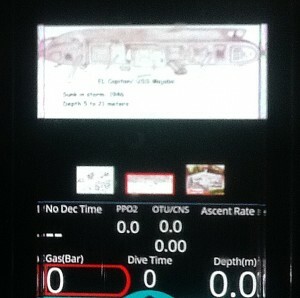 Having the Aqwary smart console on our dive the other day would have been great. We were doing a search for a missing piece but had difficulty keeping track of each other. So a portion of our dive time was keeping track of each other. The Aqwary console would have done that for us. While I have been diving for about 18 years, this year may set new records for me. I have commitments to dive a couple days a week with one dive center and additional dives each month with 4 other centers. Soon I will be diving three days a week. The website ask: Who can become an Aqwary Ambassador? Looking forward to being an ambassador, and i am promise that you will get honest reviews. starting on your own site.